More Shanties and European buildings now available! 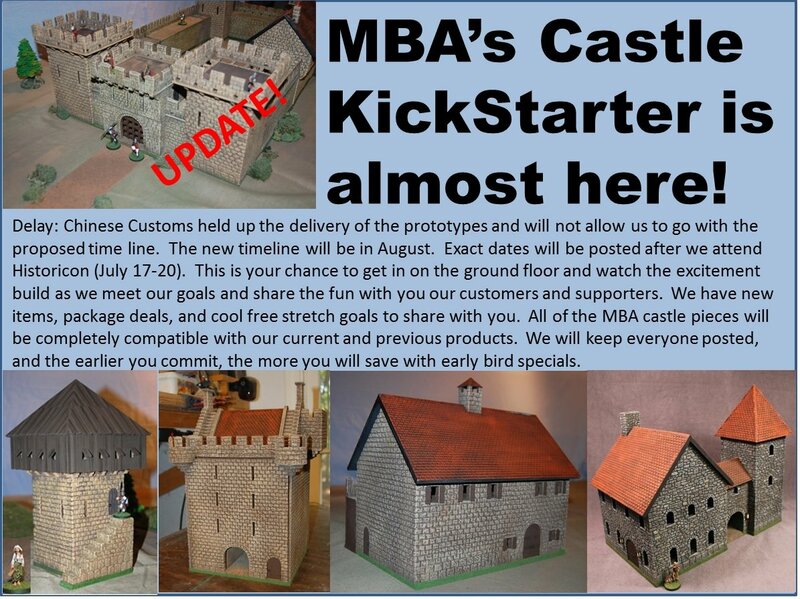 Miniature Building Authority’s line of Direct Terrain has added four new 28mm items. First we have our new Haynes House. This is a great house for Western Europe. Good for any WWII, Napoleonic and other gaming periods. We have also added three new items to our shanty line. We now have a cinder block store front shanty, water front shanty, and a shanty wall. All of these items are made of resin, come unpainted and ready to ship. As with all of our Direct items these are only available either from our website or at the conventions that we attend. Painted versions will be out in a few weeks. Stay tuned as more items will be coming out soon. Categories: New Products, News | Tags: 25mm, new, shanty | Permalink. 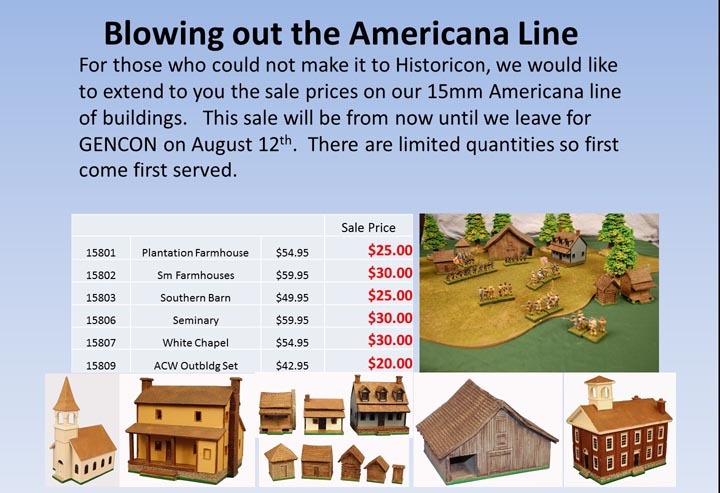 We are having a great sale on our 15mm Americana buildings. These work great with everything from Revolutionary War to American Civil War all the way up to moderns. These are limited quantities so get them while you can. This sale will run from now until August 12th.